Includes : Operation manual, 1 power supply cable, ‘Spider’ connection cable. The ‘Spider’ will requires a second power supply (not included). 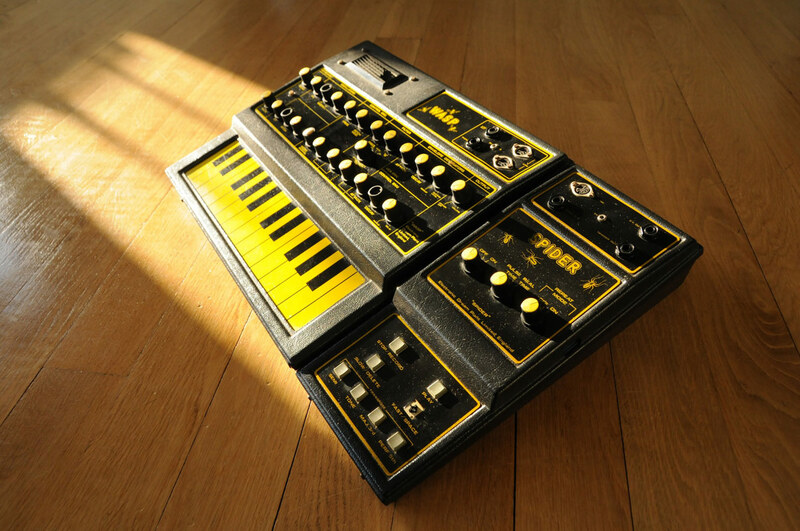 Manufactured in 1978, The Wasp was undoubtedly EDP’s most famous product, distinctive for its black/yellow colour scheme. It was notorious for its lack of a mechanical keyboard; instead, it used flat conductive copper plates, hidden under a silk-screened vinyl sticker. 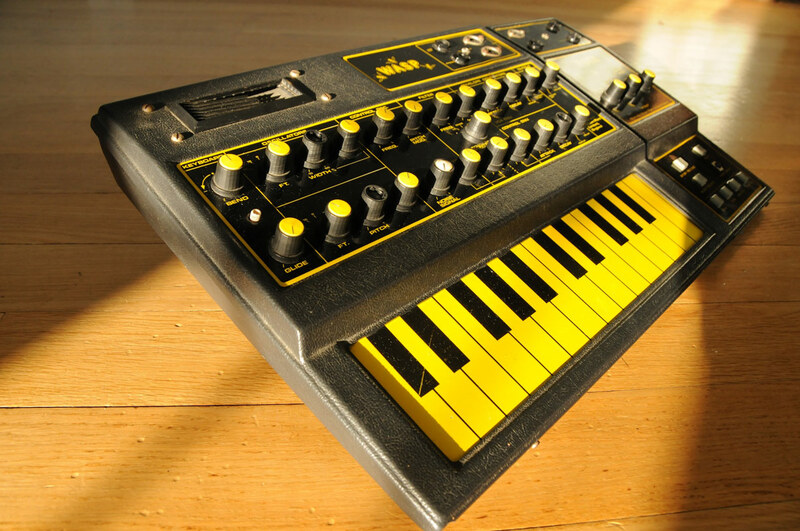 The Wasp was fairly advanced technologically – it was one of the first commercially available synthesisers to adopt digital technology, which at the time was just beginning to become a standard. It also utilised a proprietary system for connecting several Wasps together, pre-dating the invention of MIDI by several years. The digital interface should not be confused with MIDI however, even though similar DIN plugs are utilised (7-pin DIN instead of the 5-pin DIN which MIDI standardized to. All in all, it’s nifty technology for 1978, but in reality, due to the keyboard, they are a bit difficult to play – best sampled once a unique sound has been created. There’s also a little speaker built-in to the synth. A 252-step digital sequencer (most analogue sequencers at the time had 8 or 16 steps, built in the same style as the standard wasp, outputting both LINK (to drive EDP products) and CV/gate information for use with standard analogue synths. Architecturally, the wasp is dual DCO (not VCO), with dual envelopes and a single, switchable (low/band/highpass) CMOS-based filter. Digital circuitry was built by Chris Huggett, who also designed the OSCAR. The filter is a 12dB/oct. made of digital inverters “working as OP amps” – that is the main reason for its very special sound. 12dB/oct multimode filters and an LFO (here it is a “modulation OSC”).